Anthony, what a great post, and congrats on your completion w/ distinction! 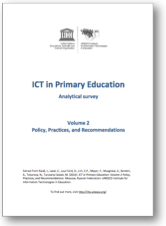 You’ve highlighted some very important considerations for why ICT should be directly taught. Recently, I’ve done some reading about how such computer-specific skills have lost their core directional instruction as many assume teachers are infusing into their own curriculum. Thanks for the great links throughout as well. I’ve some 2 MOOCs, and am working on a third now, and really enjoy it, both directly, but also as an intellectual exercise in thinking about learning and education, and the place for MOOCs within schools for both Teachers and Students. 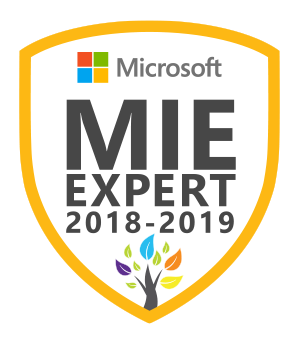 I can’t wait to catch up w/ you and share some of my resources on Collaborative Learning from the MOOC that I just completed. Thanks for inspiring me to collect my thoughts – post will be coming soon! Thanks, glad those helped Garth! This MOOC was pretty well-timed as the assessed part began just as school finished and I could catch up. (And coinciding with having my two little ones off to camp helped too!) Timing is everything! Weaving computational thinking into an already crowded curriculum is definitely a challenge but I like how this mode of thinking steers away from technology use as a consumption tool only (i.e. video and games) towards creativity and digital tinkering. As the for the next MOOC, I started one on the Beatles for fun but not sure I will be making the quiz leaderboard against a tough field of Beatlemanics! Look forward to chatting and reading your resources soon!